Shimano Ultegra Di2 priced at £1000 in addition to the build proving great value for money! 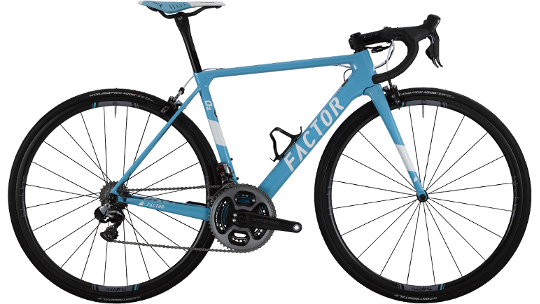 Factor first appeared on the Pro-Tour scene in the 2017 Tour-de-France through their sponsorship with AG2R La-Mondiale and got off to a flyer with a podium finish by France's Romain Bardet. Romain used the O2 throughout the world's most-famous tour which helped him to look as strong as any of the GC contenders up the iconic Alps and Pyrenees climbs and descents. 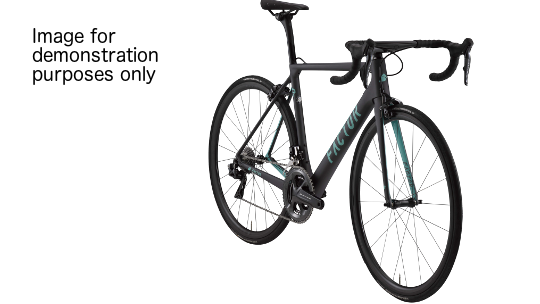 As well as coming kitted out with Black Inc. Thirty road wheels with ceramic speed bearings, this O2 spec comes fitted with Shimano Ultegra Di2 8050 which provides smooth, fast and lightweight electronic shifting. 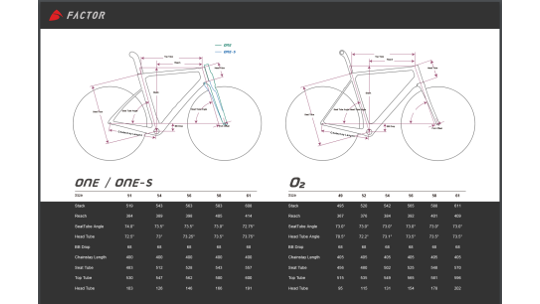 The O2 was built with three different types of high-modulus carbon, two of which are popular with carbon bikes but Pitch Modulus is rare and comes at a high price but earns it's value in off the charts stiffness and weight. Factor used layup simulation software called Fibersim that enables us to model the exact size, shape, orientation and placement of every ply, and then add them up into a virtual build of a frame before ever cutting any pre-preg. 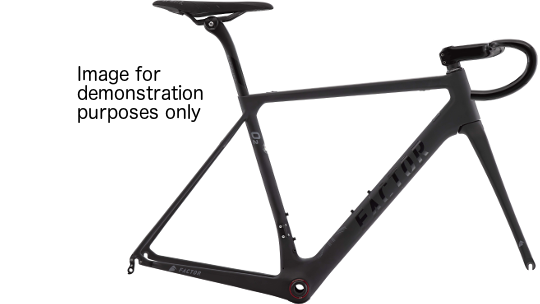 This process allows Factor to put no more carbon fibre into the frame than is necessary. The O2 frame is made with three different carbon types, each selected for different performance characteristics. Standard Modulus, Medium Modulus and High Modulus Pitch Fibre. While the first two are common to the cycling industry the last – the Pitch Fibre – is far rarer because it demands specific skills to work with, and comes at a relatively very high cost. 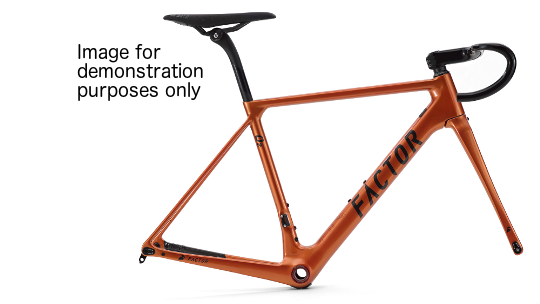 But Factor uses it simply because it’s the lightest and stiffest carbon available for bike frames that can be manipulated. As with other Factor bikes, the O2 Disc uses three kinds of fibre: Standard Modulus, Medium Modulus and High Modulus Pitch Fiber. The High Pitch Fiber is as rare as it is expensive and our workers go through rigorous training to correctly use this material. Despite the cost and difficulty of working with it, we use it because High Pitch fibre helps give Factor bikes their low weight and signature ride quality.